This salad can easily become a complete meal when it’s served with fresh bread and cheese. It can also be used to fill tortillas. Serves 4. 1. 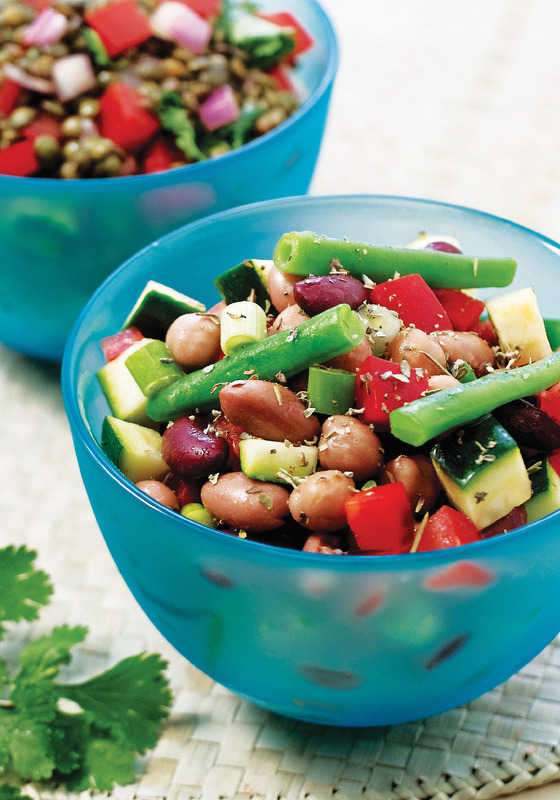 In a salad bowl, combine mixed beans, tomato, green onions, bell pepper and zucchini. 2. In a steamer basket set in a pot of boiling water, steam green beans for about 5 minutes or until tender-crisp. 3. Dressing: In a small bowl, combine vinegar, oil, mustard, herbes de Provence, and salt and black pepper to taste. Pour over vegetables. Wait at least 15 minutes for flavours to blend before serving. 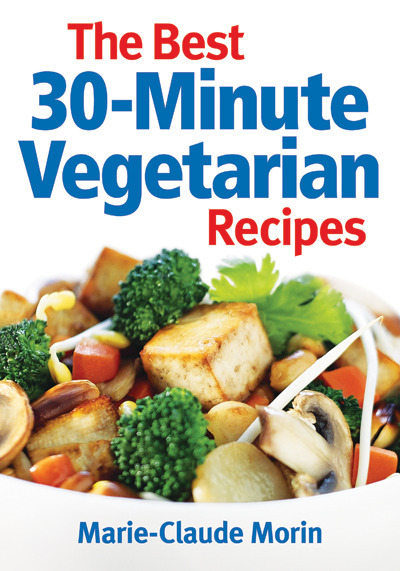 Excerpted from The Best 30-Minute Vegetarian Recipes by Marie-Claude Morin. Photographs copyright © 2009 Headlight, Text © 2011 Robert Rose Inc. www.robertrose.ca Reprinted with permission. All rights reserved.